Melissa Rivers is officially the new co-host of Fashion Police. The 47-year-old had been rumoured to be the favourite to fill the seat formerly occupied by her mother Joan, who died in September 2014. And now her role on the programme has been officially confirmed, with E! announcing that Giuliana Rancic and Brad Goreski will also return for the next series. The new series, which will consist of six episodes, is set to premiere on August 31. Melissa had previously been very vocal about former host Kathy Griffin’s decision to quit the show. 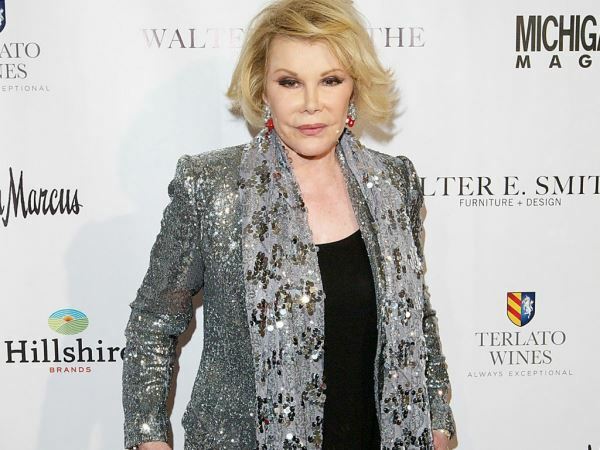 Comedian Kathy took over after Joan passed away, but in March she announced she was leaving because she did not "want to use [her] comedy to contribute to a culture of unattainable perfectionism and intolerance towards difference." And Melissa said Kathy’s comments were disrespectful to her mother’s memory. Shortly before Kathy's announcement Kelly Osbourne also left the programme. She had been upset with a comment Giuliana made about Zendaya, who was sporting dreadlocks and Giuliana remarked looked like she would "smell of patchouli oil or weed".